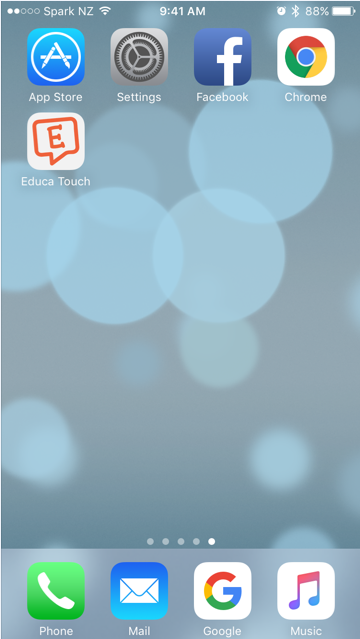 You can download and install our free Educa Touch app so that you can easily access and use Educa on your mobile device. The Educa Touch app keeps families in touch with what's happening at their child's education service, and encourages a shared understanding of the child's learning. Meaning you can access your Educa login from anywhere, any time. Note: The Educa Touch app requires an Educa account to log in. 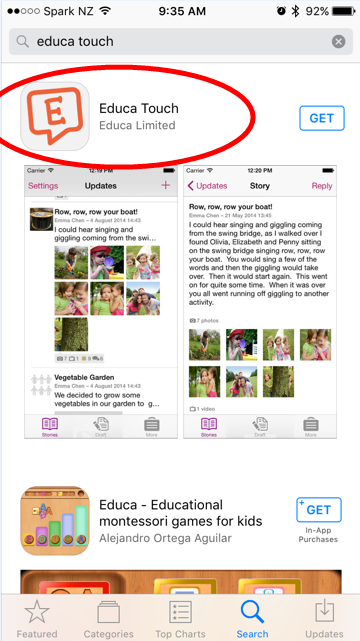 Follow these steps to download, install, and start using the Educa Touch app on your Apple device. 2: Search for "Educa Touch" and click on the app shown below from the results section. 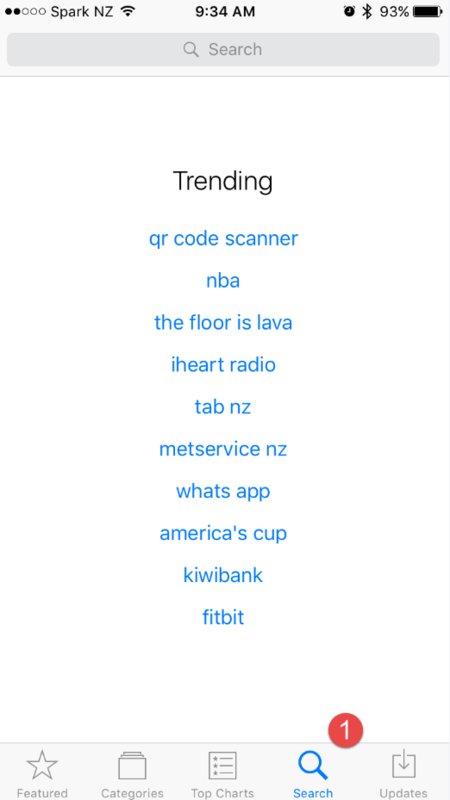 Or click here if you're on your phone now. 3. 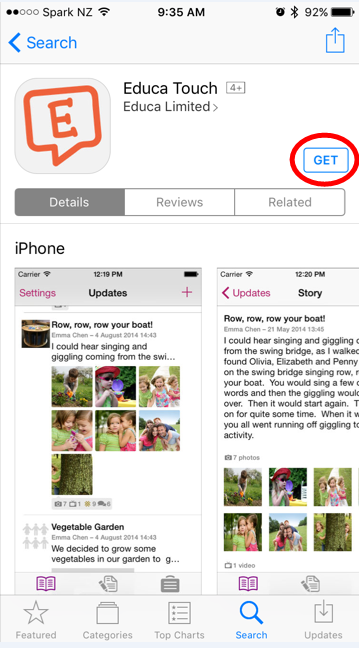 Click on the "Get" button then click the green "Install"
4: Once the app is downloaded, it will be available for you in your apps menu.  Click on the Educa Touch logo to load the application where you can then provide your login details to gain access to the Educa service.